This Joe designer chair is best situated in a busy environment because of it's sturdy frame and increased durability. The seat is extremely comfortable making it an enjoyable experience for every customer. 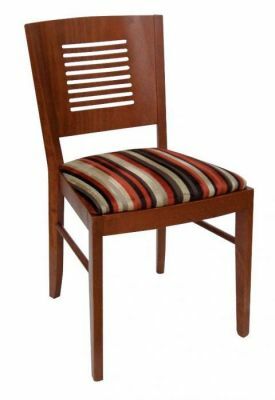 Highly attractive and versatiile restaurant chair complete with a cushioned upholstered seat and solid frame construction. Stained wood structure from a choice of UK wood finishes. Leather seat options available.